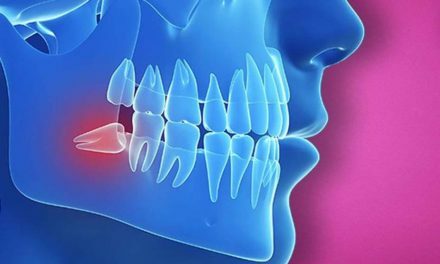 Also called sinus graft or sinus augmentation, a sinus lift is a surgery that will increase the amount of bone in the upper jaw, more precisely in the posterior maxilla. This type of surgery is usually performed prior to placing dental implants in the upper premolar and molar regions, when the quantity of the available bone is not enough to hold implants and keep them stable. When a natural tooth is lost, the bone around it remodels over time and loses volume. 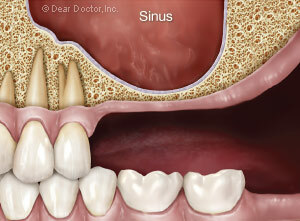 During that time the level of the bottom of the sinus also goes lower. When there is little bone left, it might not be enough to place a dental implant. A sinus lift is a procedure that gives more bone to place dental implants by giving up on some space in the sinus. The most widely common indication for sinus lift surgery is the placement of dental implants when not enough bone is available. This is the case when the bottom part of the sinus becomes very close to the area on the bone where an implant should be placed. 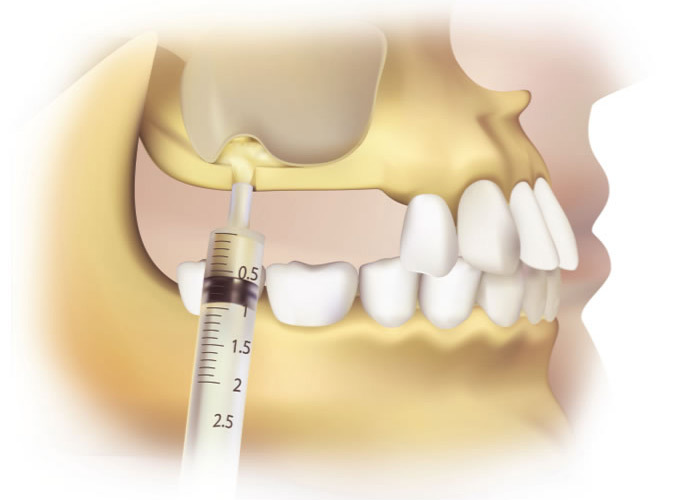 A sinus lift is performed to increase the amount of bone required for implants, and to place the floor of the sinus at a higher level in order not to damage it. 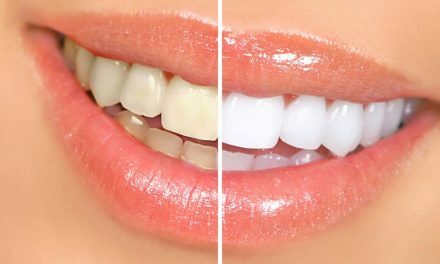 The amount of bone is reduced when a tooth is lost and a long period of time has passed. 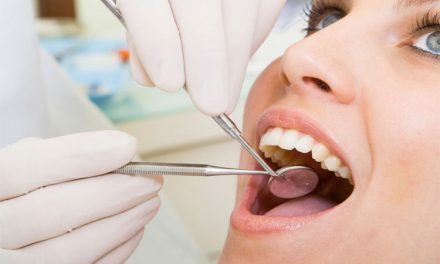 A tooth may be lost because of an extensive cavity, periodontal disease, or trauma. patients who have missing teeth in the posterior maxilla due to birth or genetic defects. a mix of bone and biomaterials. Dental implants can be placed at the same appointment if there is stability with the available bone. If not, the surgeon can choose to wait for initial healing of the graft and then place the implants a few months later. But the most common complication is the perforation of the sinus membrane during surgery. If this happens, the surgeon can suture the membrane and continue on with the sinus lift, or they may choose to stop the surgery altogether and wait for the membrane to heal for a few months. After the sinus membrane has self-repaired, it becomes stronger and a second attempt for sinus lift is more successful. If someone wants to avoid sinus lift surgery, there might be alternatives with a different success rate. Shorter implants can be placed in the available bone in order not to touch the sinus. Short dental implants can be stable, but longer ones offer more stability over time. This is something that can be discussed with the dentist or the surgeon. When many or all teeth are missing in the upper maxilla, long implants can be placed around the sinuses in order no to touch them. 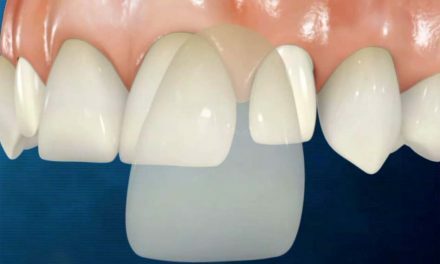 The All-on-4 is an example technique when all teeth are missing in the maxilla, and a full bridge is placed on 4 long implants. This is also a treatment option that can be discussed as the number of implants also affects the success rate. U. S. Pal, Nanda Kishor Sharma, R. K. Singh, Shadab Mahammad, Divya Mehrotra, Nimisha Singh, and Devendra Mandhyan (Direct vs. indirect sinus lift procedure: A comparison). Natl J Maxillofac Surg. 2012 Jan-Jun; 3(1): 31–37. American Academy of periodontology (Sinus lift surgery). Dear Doctor (Sinus Surgery, Creating Bone For Dental Implants Out Of Thin Air).